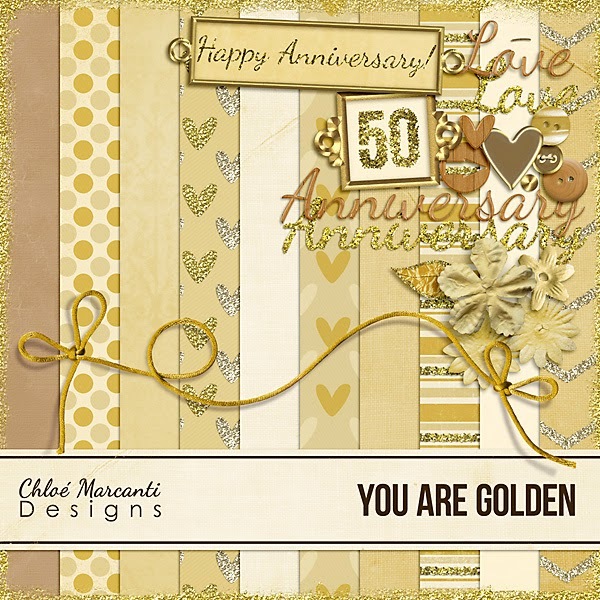 Chloé's Ramblings: You Are Golden... New link! Sooooo, apparently setting up the first download link of my mini-kit "You Are Golden" right before leaving for the hospital wasn't such a good idea as I got out of bandwith VERY quickly and people couldn't download! It's a shame, I know. Anyway, I set up a new link for part 1, hopefully it'll work this time! Here it is! Hope you enjoy it, don't forget to leave me a comment if / when you download it!! I got it the first time, but just wanted to say that I love it. Can't wait for the second part. Hope things are well with you. Thank You. Silly Me I thought this was the whole kit but it is just the papers right? Love it, you did a great job! thanks for sharing it! Is there going to be a part 2? Hope you are doing and feeling better. Thank you for your generosity! I love how different this is and you are SO talented! thanks! Sorry to hear that you were in the hospital; hope that everything is ok now. Thanks so much for sharing your creation with us. This is absolutely beautiful! Wonderful job for your first attempt at designing. I'm looking forward to seeing the rest of the kit. Thanks, again!!! Thank you so much for such a wonderful kit. Love this! Can you download the embellishments somewhere? Hope everything is going okay. Thank you for the beautiful first part to what looks to be a great kit. I'm looking forward to using it often! Fantastic freebie - thank you! Thank you very much for the papers ! Cannot wait for the elements. Simply awesome ! Thank you so much! I am trying to design an invitation to my parents' 50th anniversary party and this is perfect! Thank you so much! This is just what I need to scrap my in-law's 50th anniversary party!